What Can You Do with a Typewriter? Children nowadays don't know about typewriters. If it weren't for the picture book, Click, Clack, Moo: Cows That Type by Doreen Cronin [JP CRO], the typewriter would be a complete unknown. There is, however, a group from Boston that has found a use for old typewriters. This group is the Boston Typewriter Orchestra and they perform "music" on their old Remingtons! As you can imagine it is more percussion than anything else! That leads me to think about other ways to use old materials--maybe we can start the Nesmith Library clapping book and kazoo band! Last night we had a program at the library on organization for the holidays. Our presenter, Sue West of Space4U, told us about a site where you can download printable planners (calendars, checklists, etc. ): www.OrganizedChristmas.com. I took a look around the site and came across some interesting gift ideas, too, like the "in a jar" gifts. The recipe for "Gingerbread Coffee Syrup" I found intriguing since I'm a fan of flavored coffees. And then, I found the "poop" gifts--you know, those gag gifts that people, especially 2nd grade boys, think are hysterical! "Reindeer Poop" or "Snowman Poop"--who could ask for anything more? Andrews, Mary Kay. Blue Christmas. Berg, Elizabeth. The Handmaid and the Carpenter. Clark, Mary Higgins and Carol Higgins Clark. Santa Cruise. Now that Thanksgiving has come and gone the race is on to the holidays! Shopping is probably everyone's focus right now. May I offer a suggestion? Come to the Library and look at the Friends of the Library of Windham's (F.L.O.W.) ongoing book sale table. Many people don't realize what a great source of gently used books is available. Right now, we have these titles, among others, on sale: The Christmas Visitor by Anne Perry, The Other Side of the Story by Marian Keyes, and Flashback by Nevada Barr. These books are hardcovers and for sale at an unbelievably low price! And, add to that the fact that F.L.O.W. sales help support the library and its programs, what could be better! ...is of course the wild turkey. Thanks to conservation efforts, the wild turkey, a bird nearly wiped out, has made a dramatic comeback. This Thanksgiving we should be thankful not only for our family, friends, food, and our freedom, we should also be thankful for those who work to save our wildlife! Have a great holiday! If I had to vote for the best thing since sliced bread, it would definitely be the internet (followed, not even closely, by sticky notes). Being a Kurious Kitty, I often have questions about things--like who was that guy who was in Dear Frankie and The Phantom of the Opera. Without the internet, I might have had to wait overnight before I could get to the library to find the answer. Now, all I have to do is go to Internet Movie Database to get the answer 24/7. Ya gotta love it! And, in case you're wondering who that actor is, his name is Gerard Butler. I'll bet the Massachusetts carpenter who broke Scrabble score records (see the extremely detailed Slate article) has a favorite dictionary! 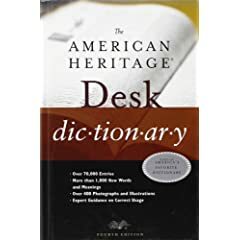 My favorite is the American Heritage Desk Dictionary. I recently replaced my paperback copy with a hardcover that cost only $13.95! You can't beat the price! The reason I like the American Heritage Dictionary is that it contains word origins. I don't know about you, but I like to see how certain words changed from Latin or Greek or Sanskrit or whatever into our commonly used words. Look at the word "pencil" it came from the Latin word peniculus meaning a "small brush." If you're REALLY interested in word origins, borrow a copy of John Ayto's Dictionary of Word Origins [422 AYT]. The Boston Red Sox bid $51.1 million for the right to spend that much again on Japan's top pitcher. Have they gone crazy? Wow! $51.1 million! How many books could a library buy with that amount? How many hungry people can be fed with that amount? How many third world countries could provide clean drinking water to their citizens with that amount? Have they gone crazy? I vote "yes." Lewis, Michael. Moneyball: The Art of Winning an Unfair Game [796.357 LEW]. We have quite a number of foreign films at the library and perhaps you're wondering why? One reason is that foreign films aren't regularly stocked at the video stores. We try to make these rarer titles available to library users. Another reason is the quality of the stories portrayed in the films. Many have universal themes that apply to human beings all over the world. These films also provide the viewer with a look at other cultures. In our multi-cultural America, we need to understand where WE have come from, whether it be Europe, Asia, Canada, South America, Africa, or any of the many islands dotted across the globe. Thanks to my co-worker, Terrie, I found out about the "Living Library" that recently opened at Douglas College in New Westminster, B.C. The concept is simple, you can borrow people for a half hour to pick their brains! The library has experts in such topics as cats, energy conservation, and sea kayaking! What will libraries think of next? I stumbled upon The Wizard of Oz on TBS the other night and was pleased to recall that this is one of my favorite feel-good movies! 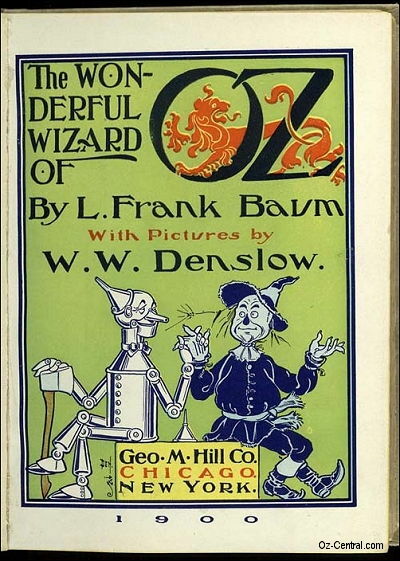 For those of you who haven't read the original book, there is a whole series of Oz books waiting for you to discover. We have them in our J collection [J BAU] in the Children's Room. 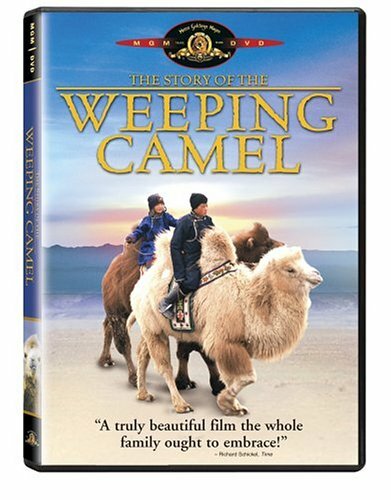 Of course, if you missed seeing the movie on tv last weekend, you can always borrow our VHS or DVD copy! I promise not to make any comments about politics except to say that cats have 9 lives as does the Democratic party! And speaking of cats, we have a great video (VHS) about cats in the library called Puss in Books: Adventures of the Library Cat [636.8 PUS]. And don't miss the great new picture book by Michelle Knudsen, Library Lion [JP KNU]. I truly hope everyone takes the time to vote today! Be an active participant in YOUR government. If you'd like to read about elections in the United States, look for this book the next time you visit the library: U.S. Election System [324 UNI].